We’ve told you all about the food trucks in Nashville and how great they are. And we all know about the fast-food grills around town with plenty of cheap eats that you can grab on the go. But what about when you want to go out for dinner because you’re tired of microwaving Hot Pockets and you don’t get paid until Friday? 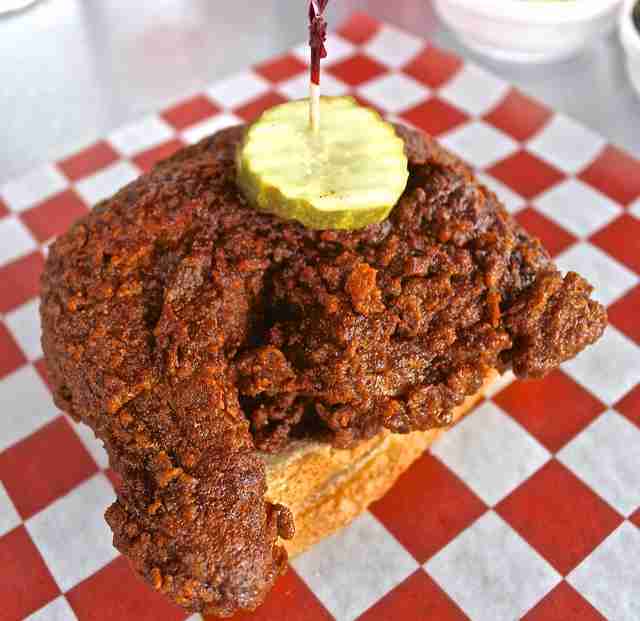 Never fear, we’re here for you with some of Nashville’s best dishes for under $10 (tax, tip & beer not included). What better place to order a sandwich than from the butcher himself? At Cochon Butcher, you can get the crispy pork belly on white toast dressed with mint, cucumbers, and chili aioli sauce served with one side item for $10. The marinated brussels sprouts and mac & cheese are the two you should be eying. There aren’t many places to get a home-cooked country meal in the $5-$10 range. 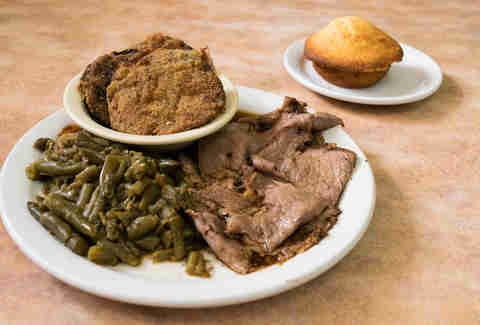 Especially when you have your choice of meat and one, two, or three Southern sides. At Arnold’s, your options rotate by the day, so you can eat cheap and well all week long. Try the stick-to-your-ribs roast beef, meatloaf, or sugar-cured ham paired with any of their famous starch and veggie sides. Just be sure to save a spot for the sweet banana pudding. During these cold winter months, dishes served hot will be at the forefront of your mind. Party Fowl serves a large bowl of gumbo served with New Orleans-style dirty rice on its regular menu for only $9. They also have a great deal on a local brew flight: Four 4oz pours of your choosing for $8. With more than 50 years experience, chef and owner Boonkheng Xayarath makes every one of her traditional Vietnamese and Laos dishes from scratch. However, her bánh mì sandwiches are the house specialty. There are five options including the double meat version with two layers of red meat pork for $4.81, the roast pork topped with a layer of crispy pork belly for $5.26, and the shu mai is made with ground pork and vegetables with a house sauce for $3.43 (tofu also available). That leaves plenty of change for a side of steamed dumplings, springs rolls, or fried pork skins. Eating cheap doesn’t mean you have to skimp on the health-conscious options. 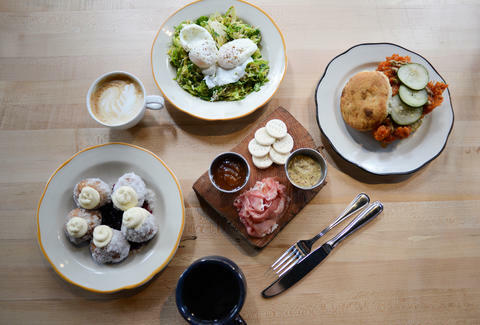 In addition to the fresh baked bread and French pastries, Dozen provides satisfying lunch and brunch menus. The smoked trout salad is served on toast with Asian pears, fennel fronds, and pickled mustard seeds. Any tartine is $6 and the salads (the farro comes highly recommended) are an additional $3. Or you can choose the combo for $9 and receive half of a tartine or baguette sandwich and salad. 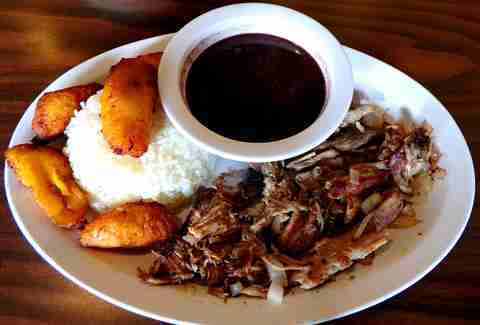 Although its empanadas and coquitos are some of the best in town and both only $3, you can also get a platter of traditional Cuban arepas with choice of chicken, pork, or beef served with rice, beans, and sweet plantains for $9. And try their famously strong Cuban espresso as an after-dinner pick-me-up. The ultimate cowboy comfort food, The Recession Special includes a fried bologna sandwich, chips, a moon pie for dessert, and a cold PBR for only $5. And as always when dining on Lower Broad, your entertainment comes complimentary. 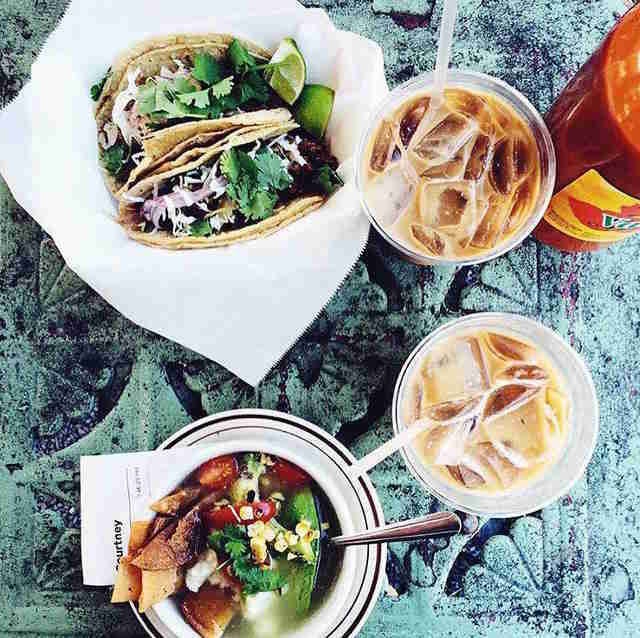 At Mas Tacos, you can score up to three of its specialty tacos, like the Cuban-style carne molida, the pulled pork topped with spicy onion yogurt, or you can choose one taco plus a hearty bowl of pozole verde (chicken and hominy soup). Each option will run you $9, and for an extra $2, you can add a glass of homemade horchata for dessert. 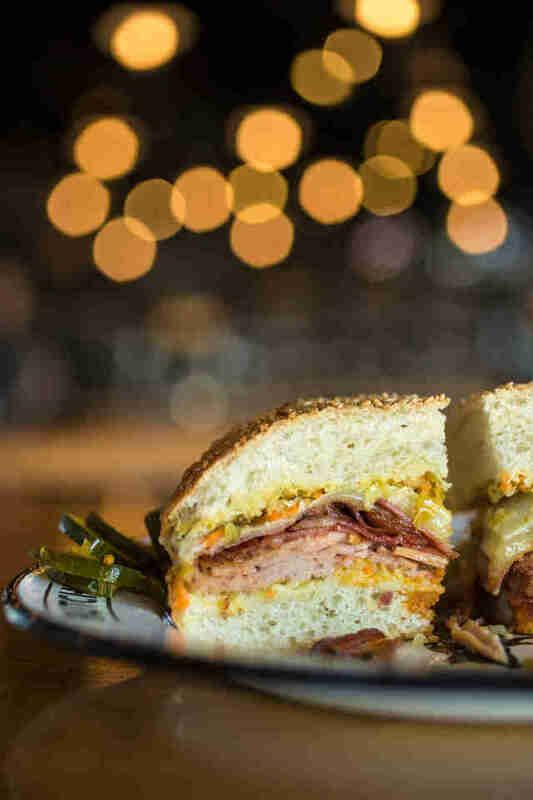 Whether it’s brunch or lunch, the East Nasty at Biscuit Love will keep you full. All. Day Long. 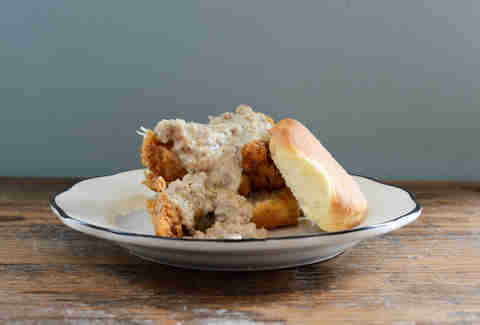 Boneless fried chicken on buttermilk biscuits drowned in sausage gravy and aged cheddar will have you suited for a late afternoon nap real quick, especially if you spring the extra $5 for a pint of local beer. Spiced at temperatures between mild and “shut the cluck up” hot, Hattie B’s chicken sandwich is then smothered in Hattie’s Nashville Comeback Sauce and served with coleslaw, pickle, and another side of your choice for only $9. Kendall is a Nashville native who wouldn't hesitate to spend her last $10 on a meat n' three.